Finding the Grandparents of Themar’s Jewish Community! We have made significant progress in finding the ‘founding families’ of the Jewish community of Themar in the late 1800s — Baer, Frankenberg, Gassenheimer, Grünbaum, Kahn, Katz, Müller, Schloss/Sachs, Schwab, Walther, and Wertheimer. So now we’re pushing back into the world of the grandparents’ generation — if not further to the great-grans. The first research results are the Nachkommenliste/Descendant Lists for members of two families of Berkach: the Hirsch & Rosa Friedmann family and the Simon (Seligmann) and Rees Sachs family. A Nachkommenliste can look pretty straightforward in its representation of a family’s background, but for an historian it is a treasure trove of valuable data. The fact that the family lists share members is only one of the many elements available for exploration. The Nachkommenliste hint at decisions made and strategies implemented as family members engaged with the political, social, and economic change sweeping Germany in the late 1800s. The results were varied: some remained in Berkach; some left Germany and Europe altogether; most, however remained as German Jews, moving to other, usually larger — but not too large — urban centres in Germany, including Themar. 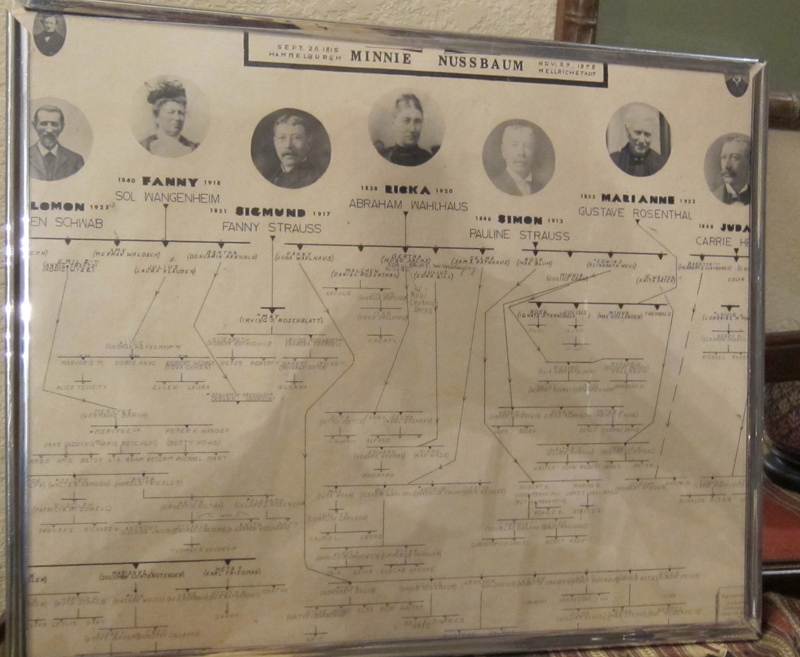 As well, the Nachkommenliste reveals connections between families that were probably well known then but have faded or disappeared in the years since — for example, the connection between the Schwab family of Berkach, and the Ernst Gassenheimer and Moritz Sachs families of Themar! Earlier version of how Descendant table. Credit: Private Collection, Sachs Family. November 29, 2013 in Research. Summer 1921 — Minnie & Lloyd visit the rellies!